Customer loyalty is not something new and has been around for ages now. 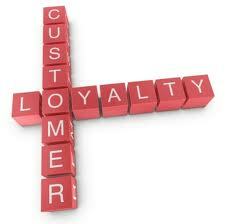 But with the advent of social media and new communication channels, there are many new ways to define loyalty. Earlier there were no metrics for word of mouth marketing. Now brands can quantify the buzz created by the loyal customers through tweets, shares, likes and checkins across Facebook, twitter or foursquare. The impact created by a like of a close friend would be much more than a pamphlet one come's across a newspaper or a television advertisement. Going by the stats, we generally need to hear or read about a brand atleast 6 times to make a good impression about it. When we see 3 of our friends liking a page, we get more inquisitive to know about a brand and this slowly paves way to a network effect. 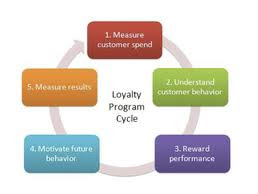 What is the need of a loyalty program? Lot of times people feel that their brand does not need a loyalty program. The quality of the product will be sufficient enough to drive the sales, so why make extra efforts. They are right, the quality of the product is the key to success, loyalty can only grow the topline. But it serves many more purposes. Here I list the four primary purposes. Lack of access to customer data is primarily a problem for offline retailers and not E-commerce vendors. Enrolling customers into loyalty gives them access to this vital data. This comes very handy for communicating new deals and offers to the high potential customers. Besides, it gives good idea about the target customer demography. This data when combined with analytics can reveal great insights. Here the brands gives out prepaid cards loaded with discounts. This locks the customer for repeat sales and ensures loyalty. True that an already loyal customer is more likely to opt for such cash cards. But it brings in reverse capital and increases the frequency of the visits. With the advent of social media, brands can reward their customers for sharing experiences in their social graph acting as hyper local marketing channel. This is the new form of word of mouth marketing and much more powerful. The prospects of discount drives repeat purchase. This is all the more relevant for elite, and expensive brands and industries like airlines. As evident from above, loyalty may not directly lead to repeat sales but the buzz or insights gained through the data acquired, can help the brands target their customers more effectively and drive sales. In the next article I will talk more about changing loyalty trends and how social media is playing a big role in the same.